Demolition hammers are usually seen on road works or construction sites, demolishing large concrete slabs or brick walls. But there are a range of electric demo hammers, from light to heavy models, and some of them can do surprisingly delicate work. If you’re looking to demolish a concrete slab or take up floor tiles, you might want to use a heavier model, with a T-shaped handle for upright use. Weighing in at 30kg, it packs quite a punch. To remove floor tiles, you use a heavy hammer and mount it on a trolley. This makes it easier to move around and keeps the hammer at the correct angle to the floor. There’s also a medium-sized hammer that comes with either a T-shape or curved grip for better manoeuvrability. 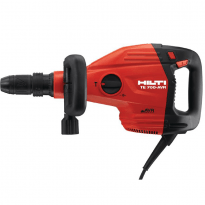 Finally, there’s the light demolition hammer, which is used to remove wall tiles, plaster or stucco. This model come with two handles so it can be used more easily in a horizontal position. At 7kg, it’s also much lighter than other hammers and easier to manoeuvre. 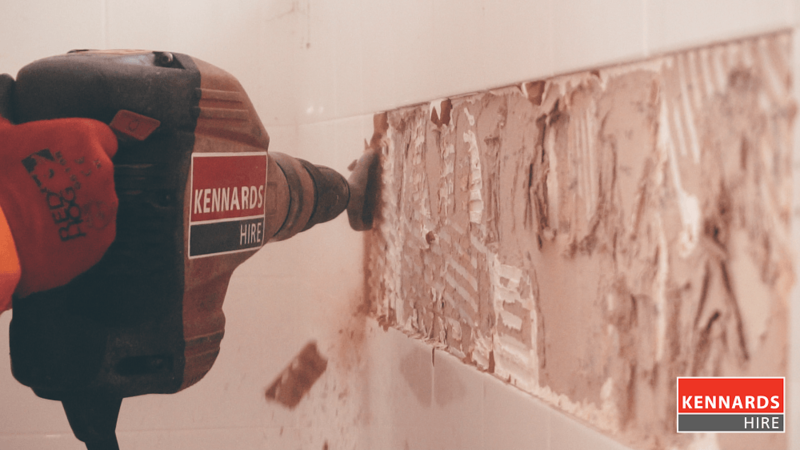 Let's take a look at how to use a demolition hammer to remove wall tiles. If you have any questions about our equipment or need advice on the best equipment to use, the team at your local Kennards Hire branch will be able to help you. Before using the hammer, you should prepare the area. If there are fixtures such as taps covering the tiles, remove these. 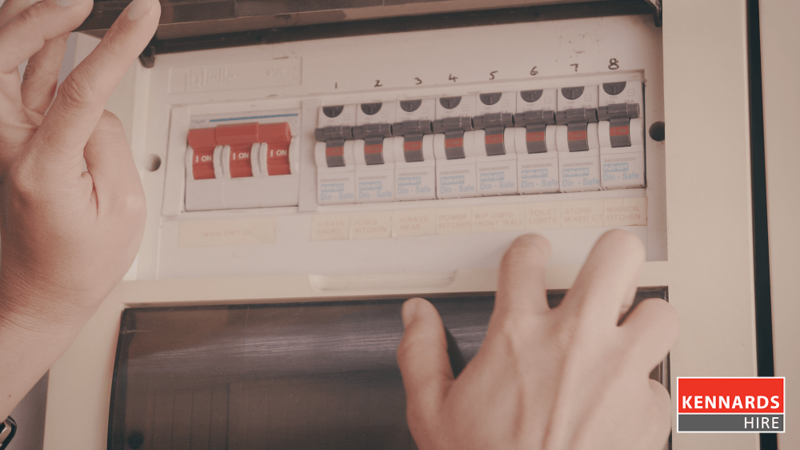 If there are electrical outlets, turn the power to the room off and remove the outlet covers so you can clearly see the edges of the tiles beneath. Always make sure that you turn the power to the room off when you are using the hammer around power outlets, and run power in from outside via an extension cord. Next, cover surfaces with a drop cloth to prevent damage to sinks, kitchen tops, etc. Then protect yourself with safety glasses, ear protection, a dust mask and gloves. During tile removal sharp fragments may be ejected into the air by the hammer, so wear long-sleeved clothing and trousers to protect your arms and legs. 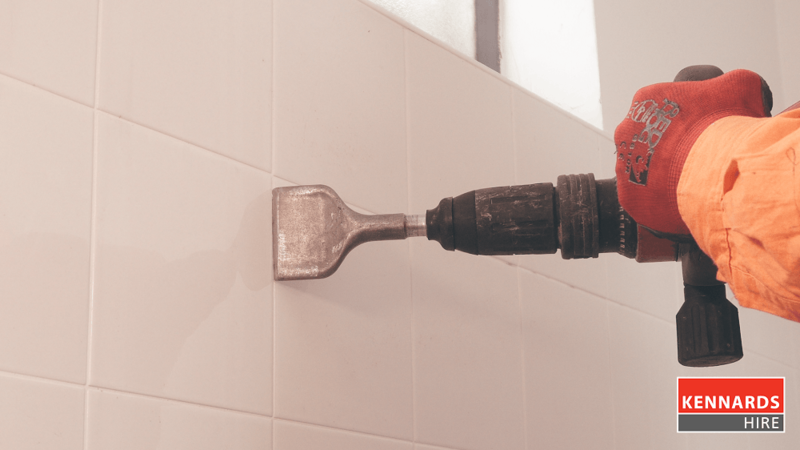 The best attachment for removing wall tiles is a wide chisel. Starting at the top of the wall, place the chisel into a gap where the tiles meet. Angle the chisel so you're not aiming it directly into the wall and switch on the hammer. It might take a moment or two to get used to the vibration! Slide the chisel tip in between and under the tiles, and you’ll find that they will begin to break and fall off. If you find asbestos beneath the tiles or in a wall cavity, stop work immediately. Get in touch with your local council to find out how to remove asbestos safely. Beneath the tiles will be old adhesive. Once you’ve removed the tiles, remove this adhesive and any remaining grout so you have a smooth surface. You should soon be able to remove all the tiles and adhesive – then all that remains is the clean up! Remember, the team at your Kennards Hire branch can answer any questions you have about using a demolition hammer on your project. 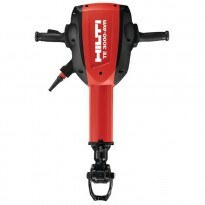 A trolley mounted medium sized jackhammer nbsp;used for the fast removal of floor tiles, vinyl and cork from concrete and wooden floors.